PUMP HIRE undertakes complete project requirements from initial evaluation to physically doing the job to completion and site reinstatement. Specialist jobs may require Resource Consent and specified disposal of waste material which may include a minimum dry matter content. Any of these requirements can be completed by PUMP HIRE LTD. Call one of our technical representatives now on 0800 266 000 to discuss your pumping requirements. 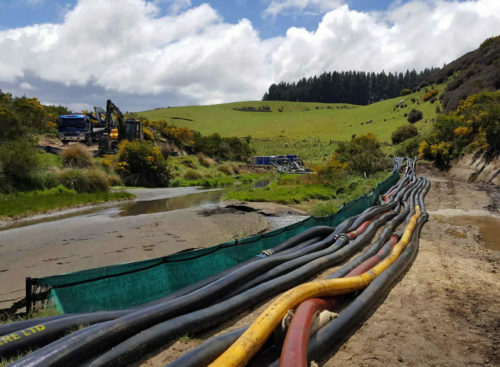 We are a pump rental company specialising in the hiring of diesel, electric, air and petrol driven pumps which are suited to a wide variety of applications throughout New Zealand.